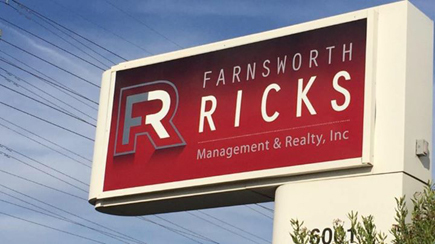 Farnsworth Ricks is a family owned, full service, property management company caring for homes in Dreamland Villa, Leisure World, Sunland Village, and a variety of other communities in the Mesa and Gilbert area. Our team offers top quality service with a personal touch to both owners and tenants. We started in Property Management by managing our own properties, so we know what it takes to take care of your property as if it were ours. David Ricks, Designated Broker has worked in the business for 15 years and has been involved in all aspects of it. In following in the footsteps of his Grandfather, Jay Farnsworth, David learned the importance of customer service and hard work. David Ricks actively leads a team of property managers and real estate agents in the firm. David is a member of the SouthEast Valley Regional Board of Realtors, (SEVRAR), and the National Association of Realtors (NAR). David is also a member of the Phoenix Metro chapter of NARPM, the National Association of Residential Property Managers. For years the Farnsworth name has been associated with commitment and outstanding service in the East Valley. In continuing this tradition, we want to earn your business and will work to keep it!